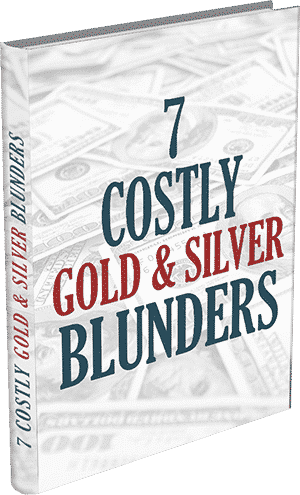 Home7 Reasons to Make a Silver Investment in 2019What are the Most Popular Silver Investments? What are the Most Popular Silver Investments? As “the bad-news bears” flock to give gold a flogging for its dismal performance over the last few months, an unexpected side-effect has started to become noticeable to the throngs of investors and analysts who watch the metals markets: the increasing popularity of silver investing. Long regarded as the “poor man’s gold” and most often known for its industrial uses and high conductivity, silver is now making a name for itself based on its merit as an investment. Dozens of bullion manufacturers, as well as national and private mints, have begun selling silver bars and coins in exceedingly large quantities. The U.S. Mint is on pace to set an annual sales record for silver in 2013, and the “gold silver ratio” is growing ever smaller. With silver in the spotlight and so many silver investments available, how is one to know which silver investments to choose? Below we have listed the Certified Gold Exchange’s five most-requested silver products. If one or more of these investments strikes your fancy, feel free to give us a call at 800-300-0715 for discounted pricing as well as a complimentary copy of The Insider’s Guide to Silver Investing: 2015 edition. Individuals who expect or want to prepare for a crash of U.S. paper currency often buy bags of pre-1965 U.S. coinage. The nickels, dimes and quarters contained in such bags are made of either 40 percent of 90 percent silver, depending on the year of mintage. 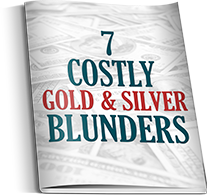 The common pitch for these “junk bags” is that one could use the money to procure goods and services if the dollar goes belly up, but junk silver dealers often forget to mention that a large percentage of coins – up to 25 percent by some estimates – are fakes. China has been diluting bags of junk silver with fake coins for decades, and even large-volume dealers with lots of manpower such as the Certified Gold Exchange would be hard-pressed to examine each coin in every bag. The moral of the story? An investment’s popularity is not always a valid indicator of its true value. The Royal Canadian Mint is renowned for its “5 nines” (.99999 pure) gold coins, but our neighbors to the north are quite efficient at producing high-quality silver coins, too. The pure silver Canadian maple leaf bullion coin is a popular choice for silver investors, both for its guaranteed purity and the relatively low premium over spot compared to other silver bullion coins. Local dealers often have silver Maple leaf coins lying around, and the Certified Gold Exchange is proud to offer discounted pricing on Maple Leaf silver in 500-ounce sets. Investors who want to avoid the premiums that come with minted coins often select bars or “rounds” (non-denominational, privately-minted coins that are not legal tender) as their investment vehicle of choice. Silver bullion bars and silver rounds, minted by companies like Sunshine Mint and A-MARK, carry low premiums above the spot price. Such investments are not recommended for investors who foresee a world without the dollar, as trading bars and face value-less rounds for food and gasoline could be an exercise in futility in the midst of a national financial emergency. For the short-term profit-seeker, however, these items should work just fine. Morgan silver dollars (1878-1921) and Peace silver dollars (1921-1935) were commonly used as currency prior to the Great Depression. Nowadays, especially rare varieties of these coins are coveted by collectors, while more common examples are highly sought after by investors looking to solidify a paper-heavy portfolio. Premiums on Morgan and Peace silver dollars are relatively low in the VG+ to MS66 grading range, and pre-1935 U.S. silver dollars have, at times, vastly outperformed the silver bullion market. Additionally, circulated Morgan and Peace dollars’ status as numismatics make them ideal low-premium investments for those who want to retain privacy while investing in precious metals. Proof silver Eagle coins provide their owners with one benefit that no other product on this list can claim: silver Eagle Proof coins are the only collectible silver coins that can go within U.S. retirement accounts. 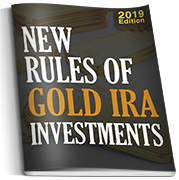 The Taxpayer Relief Act of 1997 authorized the purchase of precious metals for retirement accounts but the list of eligible products is extraordinarily small. 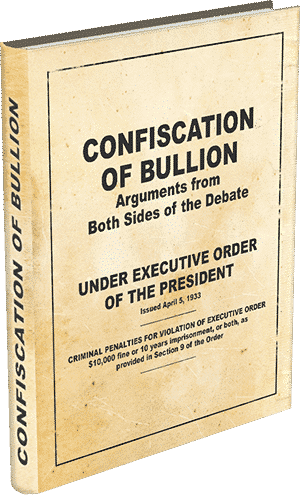 In terms of silver, bullion bars and 24-karat silver bullion coins are allowed, but the fear of a government recall of precious metals and/or a seizure of retirement account funds has motivated many investors to opt for the “pay me now to avoid me later” scenario set up by Uncle Sam with the silver Proofs. American Eagle Proof silver coins tend to gain and lose value in step with silver bullion, but often outperform the bullion market, and bullion seldom outperforms silver Proof coins. Each coin comes with its own velvet box and certificate of authenticity, and each year investors with retirement accounts as well as investors seeking physical delivery of metals scurry to buy the U.S. Mint’s limited supply from direct sources such as the Certified Gold Exchange. The aforementioned silver investments are by no means the only choices available to you. A plethora of coins, both old and new and with a variety of back-stories, is available via a visit to your local coin dealer or through a simple Google search. 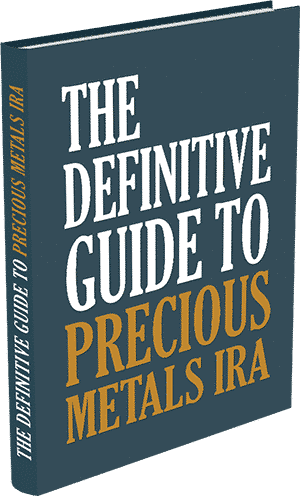 The bars and coins listed above are merely a sampling of what many Americans hold in their portfolios, and we encourage investors new to the silver market to complete our free online tutorial and browse our award-winning literature, available below, before buying silver. Our non-commissioned Silver Advisors are available Monday through Friday to answer all of your questions and to send out free information, so please call us today at 1-800-300-0715 to find out which silver investment(s) may be right for you.